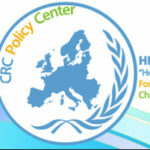 Marios Nicolaou holds the position of Senior Social Worker at the Children’s House under “Hope for Children” CRC Policy Center since 1st of June 2017. Marios Nikolaou has a Bachelor degree in Social Work from 2004. Furthermore, he received a master degree in Health Policy and Planning at 2015. He also received diplomas in mediation (acquired in Cyprus) and in family mediation (acquired in Germany). He is a licenced Social Worker. In 2004 he was hired at the Association for the Prevention and Handling of Violence in the Family. He held the position of social worker until 2009, later he was promoted to the position of Programs officer A’ and in 2016 he took the position of the director of the Association. 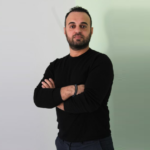 He left his position in May 2017 after the completion of the 1st Shelter and counselling center for domestic violence in Cyprus.